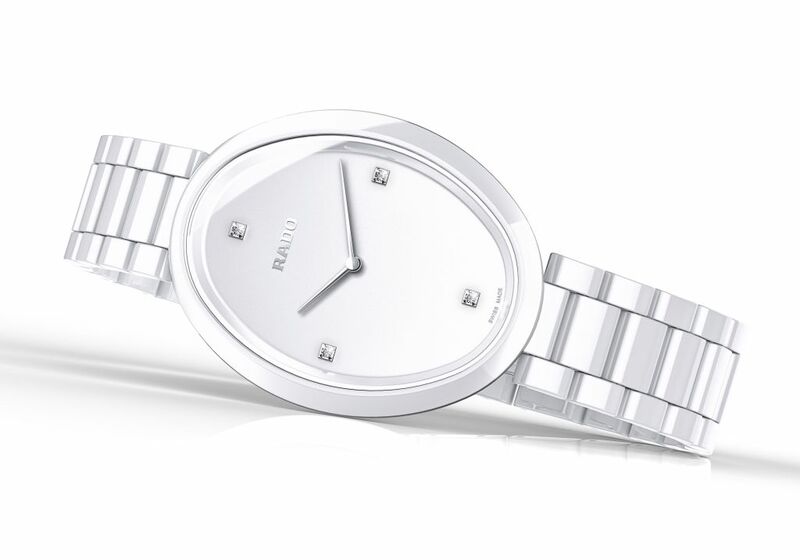 Swiss watch brand RADO unveils the world’s first portable ceramic touch timepiece. The RADO Esenza Ceramic Touch is world premier a touch controlled watch in full ceramic and is made exclusively for women. Time reading can be controlled by the gentle press and sweep of a finger along the side of the case – left for hours and right for minutes. The monobloc construction of the case, the production of which is carried out under high pressure using a sophisticated injection process, ensures the success of the ceramic touch technology. A watch case made from metal would act as a shield between the outside world and the circuits inside. As high-tech ceramic is an insulator this watch gives the wearer the power to influence the electrical circuit at its heart. The electrodes can ‘feel’ the presence of a fingertip on the case through the ceramic. The six new models in this collection – three black and three white – represent the first references in a series of product developments to come. 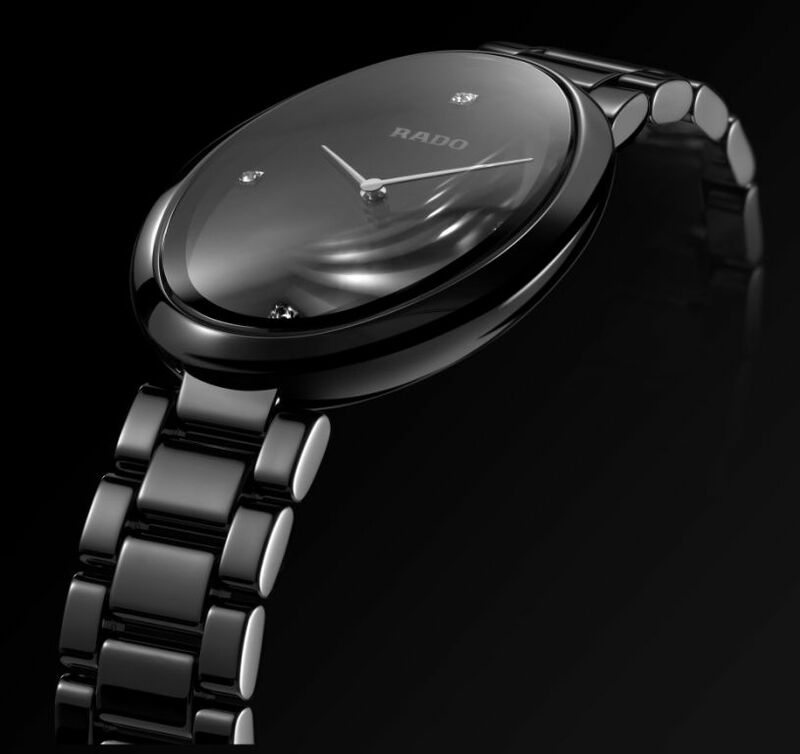 Rado has introduced a breakthrough in timing technology with the launch of the new Rado Esenza Ceramic Touch. The Rado technical and materials teams worked with a team of watchmaking experts to ensure the touch sensitive technology was flawless – just like the design of the watch. Rado’s more than 25 years of expertise with ceramic was an immediate advantage as ceramic is a natural insulator. As ceramic does not conduct electricity it is an ideal material for a touch sensitive device. The quartz movement, made up of a number of essential components, includes two chips, which are loaded with the software that governs the watch. The movement sits neatly inside the high-tech ceramic case. Nestled between the movement and the monobloc ceramic case are four electrodes, positioned at 2, 4, 8 and 10 o’clock. When a fingertip influences the electrode through the ceramic case, it acts as a stray capacitor, modifying the frequency of an oscillating circuit. The detection of the movement of a fingertip in a certain sequence on the case instructs the chip to allow the motor to move the hands, thus allowing the time to be set and reset through touch alone. The stainless steel case back of the watch is also an essential component as it “connects” the watch to the body, which acts as a reference for the electronic circuit. For this reason – and due to the fact it has no crown – the Rado Esenza Ceramic Touch can and should be worn on the wrist during setting.